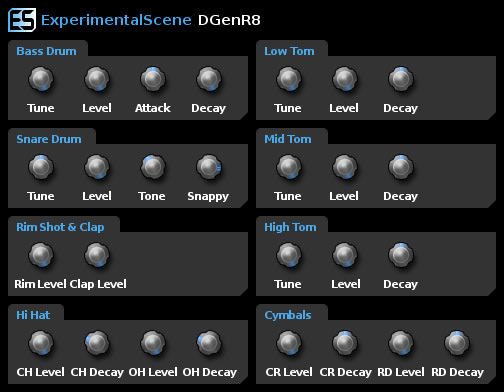 DGenR8 is a virtual analog drum synthesizer in the style of Roland’s TR Series, with 11 voices and controls that mimic the 909. All voices are completely synthesized using digital algorithms that model the operation of analog circuitry within a drum machine and are therefore easily tweaked using the controls to modify synthesis parameters. Low, Mid & High Toms. Open & Closed Hi Hats.